This is truly a 'Canadiana style' cedar sided chalet cottage nicely nestled into the surrounding trees, offering very nice privacy and yet a 'Window on the Bay' view of Colpoy's Bay at the same time. This cottage is a beautifully finished and tastefully decorated 1600 ft of living space, offering all the wonderful charm and warmth a cottage should have. The main focal point of the open concept living/kitchen and dining area is the newly installed cobblestone gas fireplace. The cottage features a nice dining nook with a view of the Bay, a large main floor master bedroom with adjacent washroom, laundry area and a fully equipped and beautifully trimmed kitchen, making every moment a pleasurable memory! The upstairs feature two large faulted ceiling bedrooms with closets and a large bathroom with a separate shower. Enjoy your morning coffee on your private deck while taking in the breezes and water of Colpoy's Bay! There is nothing more soothing than soaking in a Hot Tub while watching the sunset. Or perhaps just relax on the covered deck area with your favorite book. Just walk about 100 feet to the water's edge and enjoy and refreshing dip in crystal clear Georgian Bay/ Colpoy's Bay sit and watch an evening sunset. 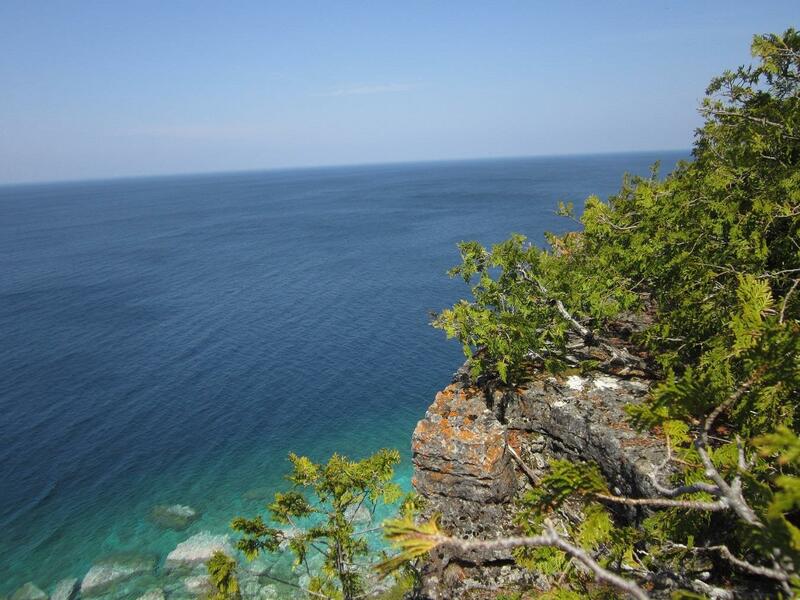 Whatever your pleasure at the cottage, it is sure to be found right here at the Georgian Bay Retreat! ADJACENT WATERFRONT ON COLPOY'S BAY JUST A 'STONES THROW' TO THE WATER' EDGE. AVAILABLE ALL YEAR- Please note that we only rent by the week from May 31 to September 27th. 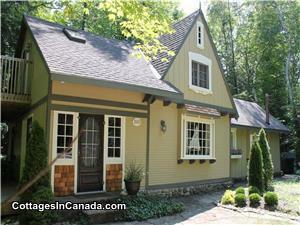 Rent this cottage for your next vacation! This Three Season Cottage is located in the popular Gobles Grove just on the south side of Port Elgin, which has long been a vacation destination for those seeking beautiful sandy beaches and sunsets. The cottage features 3 bedrooms (2 doubles and 1 3/4bed), large family room with stone fireplace with airtight woodstove, 3pc bath and a large eat-in kitchen on the main level. The upstairs loft area is accessed by a folding stairway and includes a library sitting area with a walk-out to the upper deck and an upstairs loft bedroom (double bed). The kitchen is well equipped including fridge, stove, washer, dryer, microwave, pots & pans, dishes, etc. Lots to do in the area for families and there is a beautiful sandy beach accessed by a pathway about 200ft from the Cottage. You can walk the sandy beaches all the way into town, which takes about 40 minutes. Beautiful walk first thing in the morning or later in the day with the sun setting over Lake Huron. 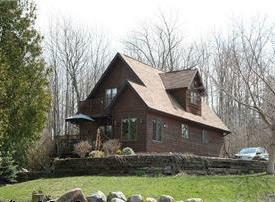 All in All a great Cottage experience at the Gobles Grove Retreat! Set among a natural forest and surrounded by a blanket of periwinkle, the cottage which dates back to the 1930's, is full of character, perfect for a relaxing escape. The outside flagstone patio is equipped with a Propane Barbecue and a small fire pit unit. There is an outside cedar shower with good hot and cold running water and a Hot Tub. Access to the sandy beach is across the road and is about a 5 minute walk. Directions provided at the cottage. The beach area is excellent for swimming, especially for small children. Beautiful sunsets (take you lawn chair) and warm evening breezes are part of the summer experience at 'Gobles Grove'.